As tax day approaches once again, now is the time to start thinking about your personalized tax strategy. 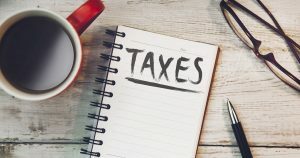 How will taxes affect you through your major life events, and how can you take advantage of new tax deductions when your life changes? Claim the child tax credit. If your income is under $75,000 ($110,000 for joint filers) you are eligible to receive up to $1,000 for any child, stepchild, grandchild, adopted child, or foster child in your care. Claim the adoption tax credit when you adopt a child, if your income is under $241,920. You can claim a tax credit of up to $13,460 for adoption fees, attorney services, court costs, and other expenses in the year the adoption is final. Want even more great tax advice? Check out our tax article archive. If it’s finally time to take control of your financial life, then start a Money Club.